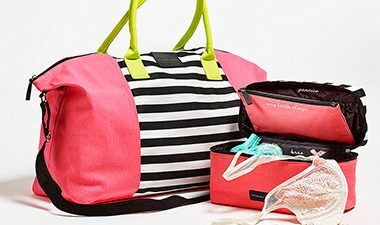 For a limited time, Victoria’s Secret is helping its shoppers pack their bags and get out of town with its latest giveaway. The more customers spend, the more they’ll receive. Spend $150 and use coupon code ESCAPE150 to get a free travel case and getaway bag. Or, if you plan on spending less, score just the free travel case with a $75 purchase when you use coupon code ESCAPE75. These giveaway items are available through Feb. 28 at 11:59 p.m. Pacific time, while supplies last. See the retailer’s website for full details and exclusions. For more tips on shopping at Victoria’s Secret, check out our Victoria’s Secret Store Guide and Victoria’s Secret Semi-Annual Sale Guide.